Orion StarBlast 6 Tabletop Telescope Review - A to Z Guide! The Orion StarBlast 6 Astro Reflector telescope is a tabletop type telescope package. It is available in a basic package as well as a kit which includes extra accessories. This review will be of the basic package. The optical tube is a Newtonian reflector with a 6”/150 mm aperture and a 750 mm focal length. The base or mount is a Dobsonian style altitude/azimuth or AltAz mount which means the optical tube pivots up and down while the base rotates left and right in a Lazy Suzan turntable style. The design makes the StarBlast 6 very easy and intuitive to use. The advantage of the table top design is that the entire telescope package is small and light for its aperture. This 6-inch scope, fully assembled is only 23 pounds. A full sized floor mounted Dobsonian telescope of the same aperture, such as an Orion XT6, would be around 35 pounds and stand about 4 feet tall. The disadvantage of the tabletop design is that you need a table. And that table needs to be rock steady or the image will move around as the table moves. Some people love the table top design and some do not. This is purely a matter of personal preference. As entry-level amateur telescopes go this has a fairly large aperture. Many beginner scopes have less than 100 mm aperture. So this telescope will show you more and dimmer items in the sky than the typical beginner telescope. If you have a smaller aperture scope as your first telescope, this could expand your visual reach in a fairly compact package making it easier to transport or take on vacation than a floor standing model. The AltAz Dobsonian style mount comes fully assembled. It provides smooth motion left and right. It also includes a tension adjustment knob which allows you to set the right friction so that the optical tube does not move on its own. If you purchase additional eyepieces, a Barlow lens or other accessories that go in the focuser you will likely make adjustments to this knob during the night to compensate for the changing weight and balance. The two tube rings have to be attached to a bracket on the mount. The hardware is provided in a small parts kit and the procedure is simple. Many tabletop mounts have a fixed attachment point on the optical tube. The advantage of the tube ring mounting method is that you can rotate the optical tube within the tube rings to get the eyepiece into the most comfortable position. Newtonian optical tubes that are not mounted using tube rings have the focuser at a fixed position which may or may not be optimal for you. Once the rings are mounted, you slide the optical tube into the tube rings and snug down the knurled ring clamps. They don’t have to be super tight as you want to be able to rotate that tube or slide it forward or back to gain the best balance and eyepiece position. The shoe for the EZ finder II is already mounted on the optical tube. Just slide the foot of the finder bracket into the shoe and you are all set. Later you can do the final alignment of the finder to the scope. You attach the eyepiece rack to the base using two screws. Having an eyepiece rack is a nice convenience. That’s all it takes to put the StarBlast 6 together. The whole process is completed in a few minutes and you are ready to go. The scope can be stored fully assembled. You might even consider displaying it on a shelf or a stand as a conversation piece. The included eyepieces are 25 mm and 10 mm Orion Sirius Plossl eyepieces. It should be noted that these are very good quality eyepieces and a step above the typical Kellner or Modified Achromat eyepieces that are often included with telescope packages. I find these offer sharp images. They can serve you well for many years. The 25 mm is a low power eyepiece. It will give you 30X and approximately a 1.7-degree field of view. This will be very good for star hopping, open clusters and other uses where a wider field of view is preferred. The 10 mm will give you 75X and approximately a .7 degree field of view. Of the two, this is your high power eyepiece. However, a scope of this aperture is capable of much higher power. In the future, I would recommend you plan for eyepieces and Barlow lens combinations for at least 160X and perhaps higher. Above that level, the atmosphere will start to become the limiting factor so I can’t tell you exactly what the maximum useful magnification will be for your location and situation. A 150 mm aperture telescope would normally be rated up to 300X, but atmospheric conditions will vary from night to night and may limit you below that. Build your eyepiece set over time as you learn what your local situation will allow. If you are not familiar with telescope eyepieces you can read our overview with recommendations here. Orion includes a collimation cap. All Newtonian reflector telescopes require minor adjustments from time to time to ensure that the mirrors are properly aligned to provide the best view. Many telescope brands do not include a tool for this important task, but Orion does. The collimation process is not hard to do and will a little practice takes only a few minutes. Orion provides collimation instructions in the manual. They also provide an excellent “how to” video that I highly recommend. Often reviewers overlook the user manual but the included manual is very comprehensive and provides real value. It goes well beyond the simple assembly of the package. They include instructions on how to aim the scope, how to focus and how to select your eyepieces. The manual includes recommendations for picking your observing site and then goes into a number of great tips that will help you get started observing with your new telescope. 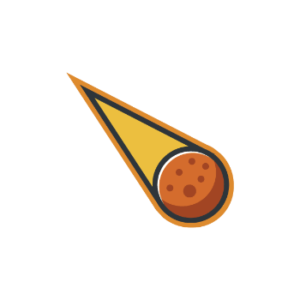 They also include basic star charts and lists of good targets for your new telescope. Many companies leave the manual out as a cost-cutting measure. Writing good manuals is expensive. Orion has done a very good job on the user manual. Be sure to read the friendly manual! 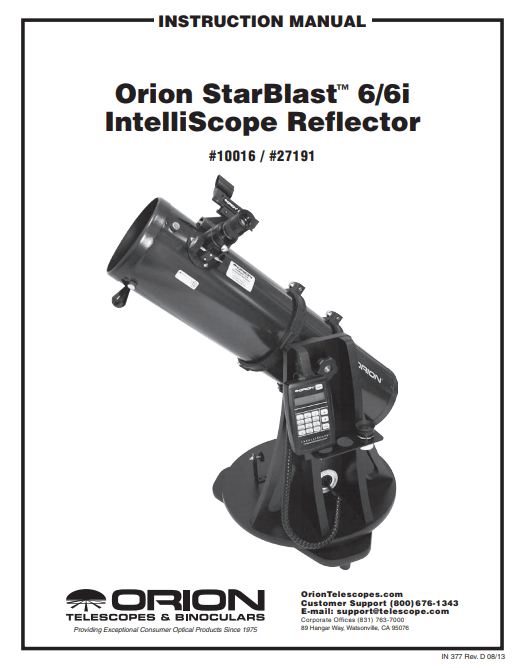 The manual also goes into the addition of the Orion Intelliscope upgrade option for the StarBlast 6. I will not be reviewing the Intelliscope feature. This is a PushTo style computer assist that allows you to find things in the sky with the assistance of a computer that tells you where to point the telescope. This can be added later. The package includes a 1.25” rack and pinion type focuser that comes already mounted on the optical tube. This will accept any eyepiece with a 1.25” barrel which is the industry standard. The choice of eyepieces is huge as the eyepiece brand does not have to match the telescope. However, Orion offers a very wide selection of eyepieces and Orion’s eyepieces are considered to be good quality. The finder is an Orion EZ Finder II red dot finder. This is a very simple to use finder. An internal light source projects a red dot on a plastic screen. You look through the finder from behind and align the red dot with your target in the sky. An advantage to this type of finder is the simplicity of use and your ability to use both eyes at the same time. So you can see the sky and the red dot at the same time. The Orion EZ Finder sits on a standard dovetail type mount which fits into a dovetail shoe on the scope. The finder mount is already installed on the optical tube when the telescope arrives. 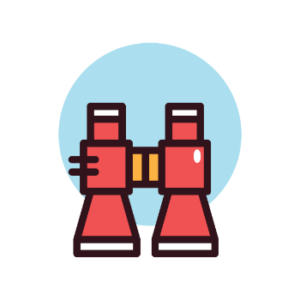 This shoe will also accept other finder types so if you would like to add a magnifying finder or a laser pointer finder the shoe will accept them if they use a standard size foot. The Orion EZ finder needs to be aligned to the scope in order to get the most accurate results. This is best done during the day and only takes a few minutes. Put the 25 mm low power eyepiece in the focuser. Now, from behind the optical tube, sight down the optical tube and line it up with a distant phone pole, street light, chimney top, or some other fixed object that is at least ¼ mile away. Center that in the field of view of the eyepiece. Now switch to the 10 mm and again center the target in the field of view again. Turn the tension knob to lock the optical tube in place. Turn on the EZ Finder. Note that there may be a tab to be removed so that the battery makes contact. Now look through the finder and adjust the two screws till the red dot is centered on the target. Check the eyepiece to make sure the target is still centered. Check that the red dot in the finder is also centered. 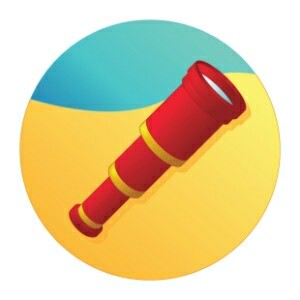 Now your finder is aligned to your telescope and you are ready to view the universe. Finders have a tendency of being bumped during transport. When you make your first use of the telescope each night you may have to make a slight adjustment on the finder so that it and the telescope are perfectly aligned. Orion has included two Orion Sirius Plossl eyepieces. The 25 mm will yield 30X. The 10 mm will yield 75X. These are enough to get you started but do not take full advantage of the scope’s aperture. You will want to add eyepieces and/or a Barlow lens to achieve higher magnifications and more choices to optimize the view. An eyepiece rack is included that just slips onto two preinstalled screws on the base. Just slide it over the screws and tighten. This rack can hold three 1.25” eyepieces for convenient access to your eyepieces during an observing session. What can you see with a SkyBlast 6? A telescope with a 6”/150 mm aperture can show you quite a lot. However, as described earlier you will want to plan for eyepiece/Balow lens combinations that will go beyond the included two eyepieces. Assuming you expand your magnification range you should enjoy excellent views of the Moon, Mars, Saturn, and Jupiter. 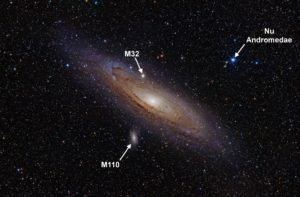 There will be hundreds of open clusters, globular clusters and double stars for your exploration. If you have a moderately dark location to view from you should enjoy finding galaxies and nebula with your StarBlast 6. The Orion StarBlast 6 is a very capable telescope package. The included components are of good quality and should serve you well. If you prefer the size and portability of the table top design this is an excellent choice. It will show you a lot and Orion has a reputation for excellent customer service. 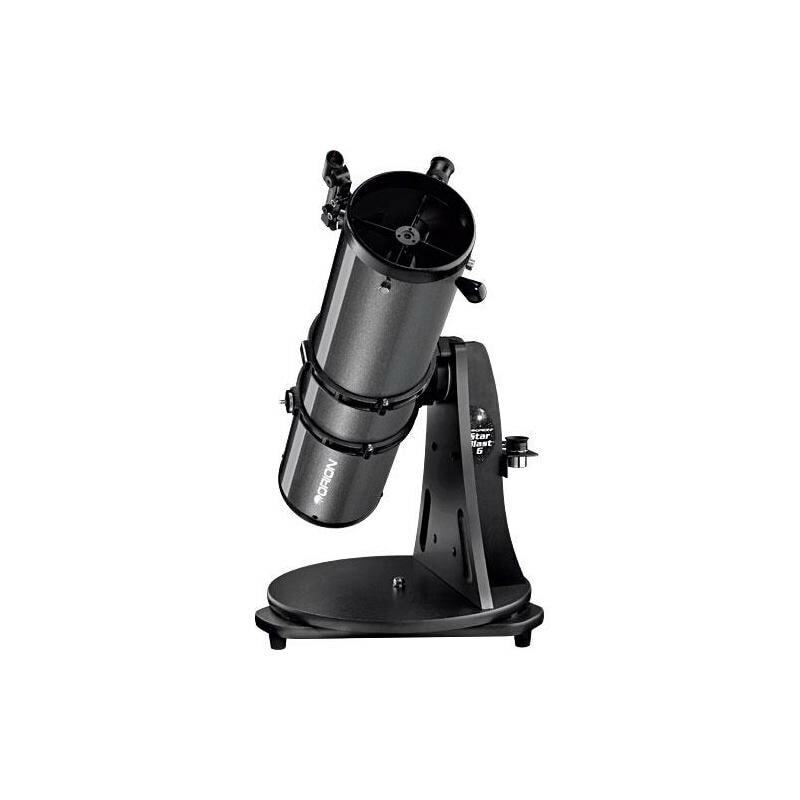 If you are open to a physically larger model, I would recommend you also take a look at the Orion XT6, a full sized floor standing 6”/150 mm Dobsonian style telescope. The XT6 is less expensive for the same aperture and does not require a table. The XT6 weighs about 11 pounds more but can be moved in two pieces so the weight difference may not be an issue, and again no table needed. I prefer the floor standing models but you may prefer the table top. Optically their reach will be very similar. The only disadvantages that I see are the need for a table and the fact that the full-sized model is actually lower cost. But if the table top design is an advantage for you then add ½ a star to that. Either way, the performance of the package is very good for its price range and Orion’s great support is a big plus.